PREMIER® NITRO 27® HANDICAP TRAP LOADS. Designed for long yardage trapshooting and long range sporting clays, our new powder, wad and primer mix have improved the Nitro 27's performance, allowing more consistent velocities, 15% better pattern performance and softer recoil. 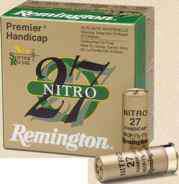 So if you're looking for tremendous target-breaking performance choose the improved Nitro 27. GUN CLUB™ TARGET LOAD LINE. 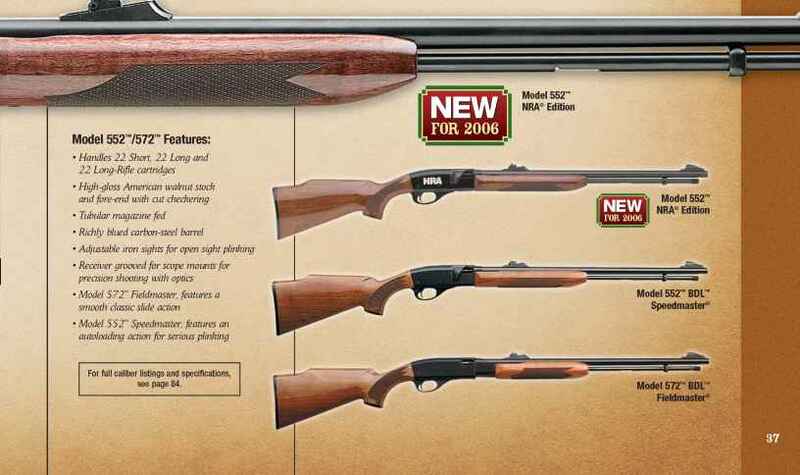 An excellent choice for economical shooting. These high-quality shells are loaded with the same care as our top-of-the-line loads and now feature the reliable STS® Primer. Many shooters are discovering that they can get acceptable reloading life while stretching their shooting dollar. 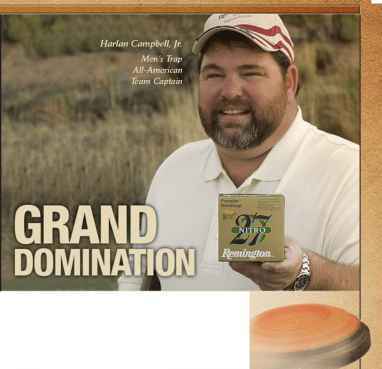 Competitors at the Grand choose Remington® as their winning ammunition. Great champions think alike. For the third year in a row, shooters who used Remington shells won more trophies than competitors using other brands at the 2005 ATA Grand American World Trapshooting Championship. Remington not only out-performed other ammunition in the competition, but it also sold more than any other brand at the Grand. And for good reason! Remington STS® and Nitro 27® target loads provide softer recoil, better pattern performance, and frrfrff^ more consistent velocities (not to mention the most reloadable hull on the market). Isn't it time you switch to Remington and step into the winner's circle? PREMIER® STS® TARGET. The standard in target shooting reliability. Absolutely consistent from shot to shot. Bar none, the most reliable, most reloadable shells you can shoot. Available in 12, 20, 28 and 410.